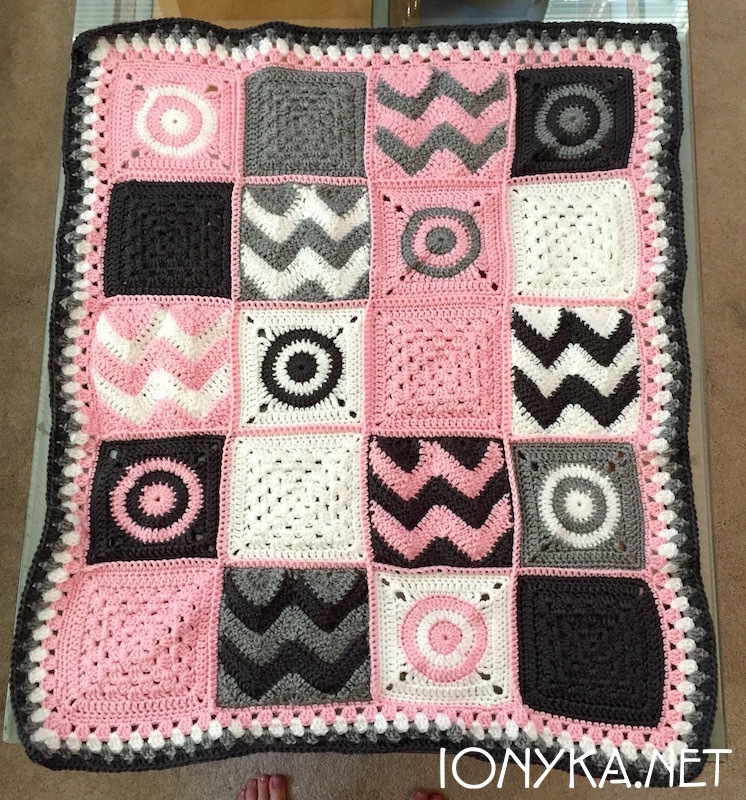 I wanted to share a few more projects that I have wrapped up recently, all baby blankets as I relax between my 38th & 39th week of pregnancy. The big day is right around the corner, I can hardly believe it! The nursery room is all set and I wanted to add a few personal touches to it to make it complete. 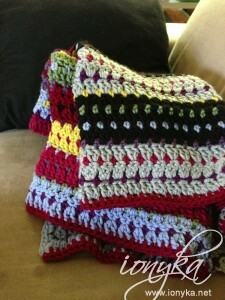 I had a bunch of Red Heart My Love yarn lying around and thought I would try the crochet standard Granny Square blanket. 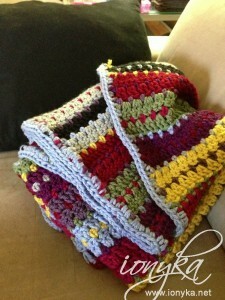 While very basic, I enjoyed learning the classic stitch pattern. 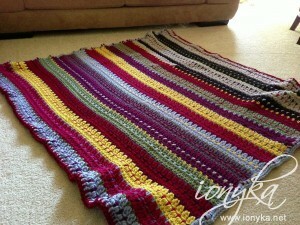 Wanting to use up the yarn I had resulted in some odd rows with color swapping, however I still like how it turned out. Here are some photos. 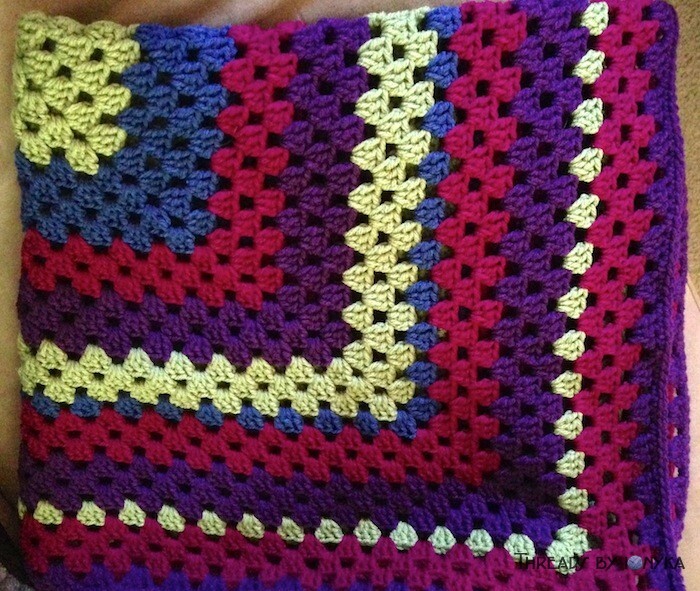 The blanket came to about 3 feet by 3 feet once I used up all the yarn I had, so not really big but that is ok, I still like how it turned out. Overall it was a fun quick project and a great way to use up a bunch of yarn if you have a lot of the same lying around that you want to use up. 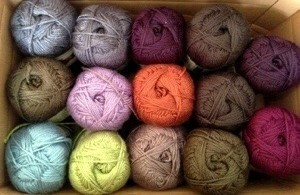 I received more yarn for my blanket yesterday, here is a quick photo of the colors I will be using! 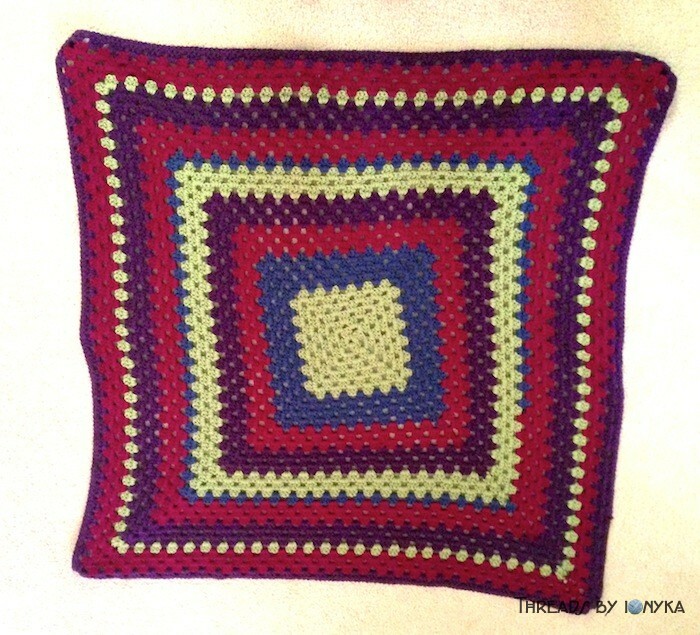 So excited for my first really big project, it is a squares blanket, and the pattern I am following is by Drops Design and is called Bohemian Oasis Blanket. I will be updating my new Projects Section page for it as I go, where I will have more photos and update on my progress! It is going super well so far I am enjoying making each square, since they go quick it gives the illusion of satisfaction that I am 1 square closer to the 77 I need in total! 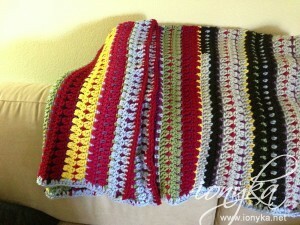 I wanted to share some more photos of the blanket I finished this week. 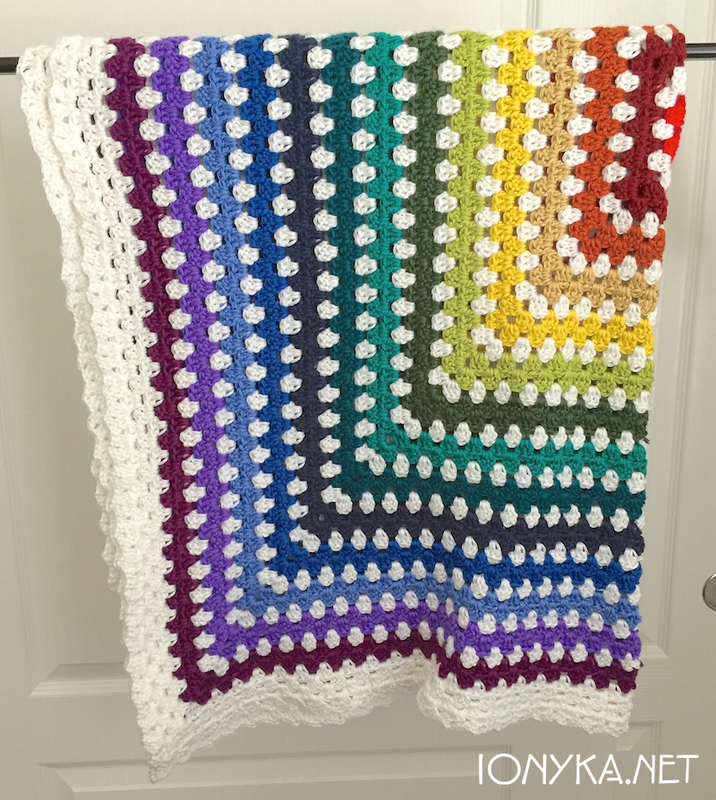 I had a ton of chunky yarn (Link) and have been trying to find a blanket pattern that was simple to learn and did not take weeks to complete. I am super happy about how it turned out! 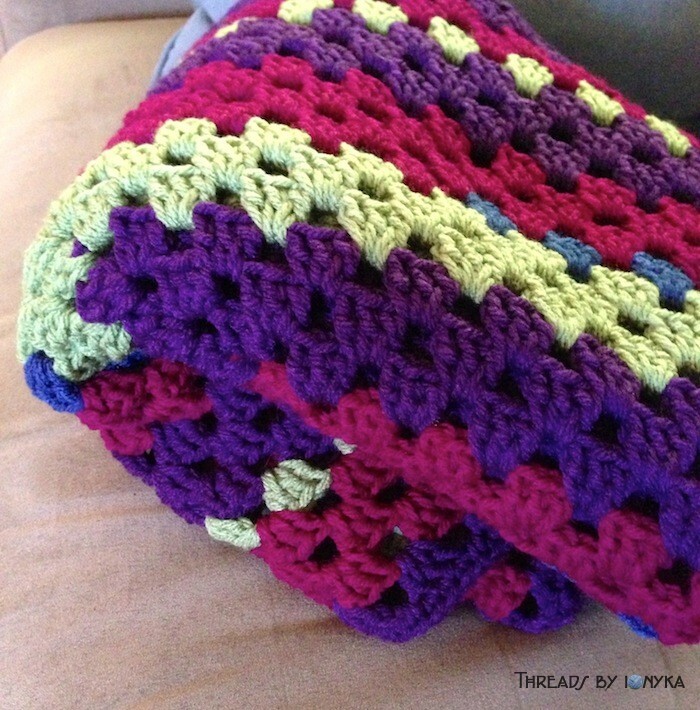 Copyright © 2019 Threads by ionyka All Rights Reserved.